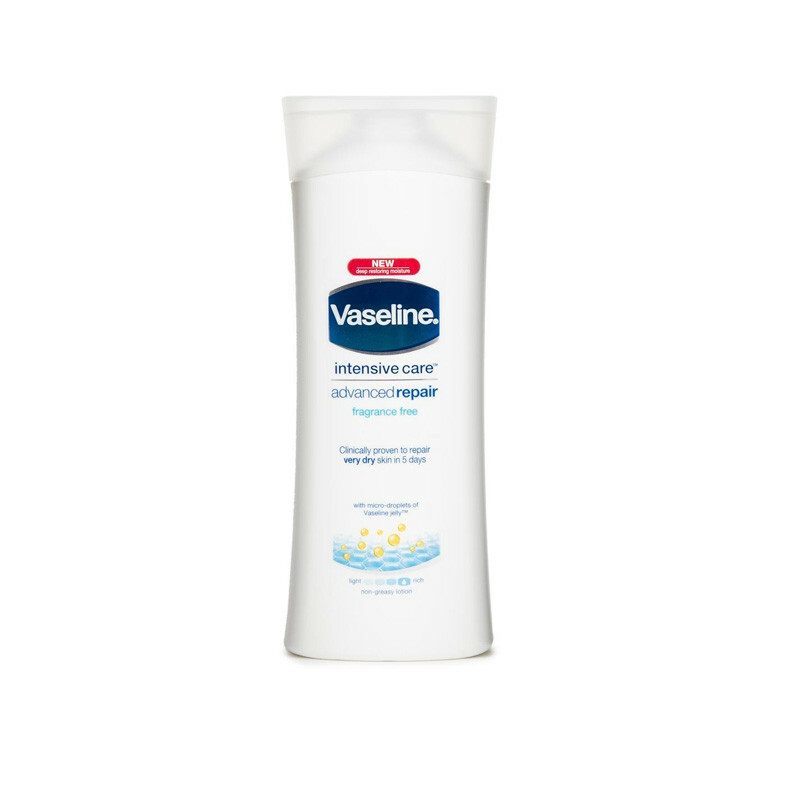 Vaseline Body Lotion relieves itchy dry skin and hydrates all layers of dry surface skin for soothing moisturization that works quickly and effectively. Vaseline Intensive Care Advanced Repair Lotion is clinically proven to moisturize to heal very dry skin in 5 days. Fast-healing moisture for when your skin’s dry and rough and relieves even stubborn dry patches.Appropriate for sensitive skin and absorbs fast for a non-greasy feel.The result is a rich yet quick-absorbing formula that gives you intense moisturization as well as a soothing scent. This lotion will give you immediate relief and moisturization, resulting in healing your dry skin.